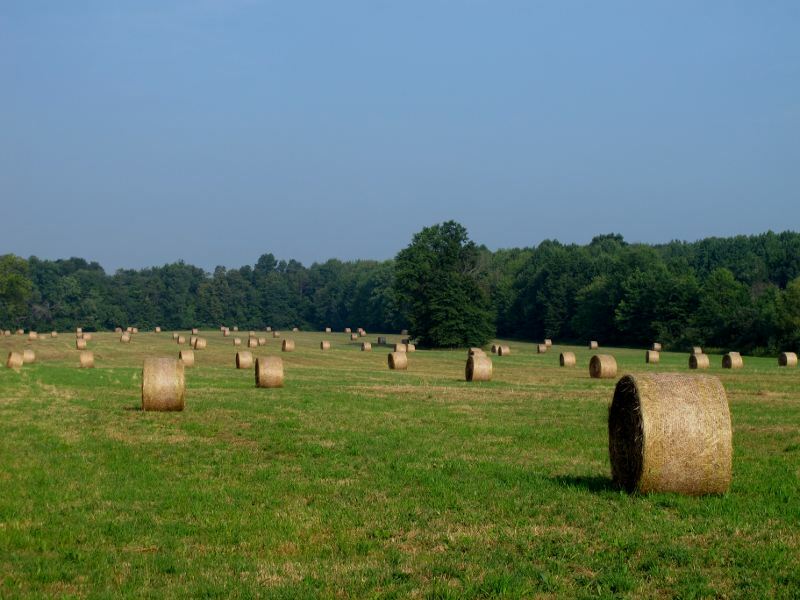 Driving to Hiram today I passed a field dotted with huge rolls of hay that had been cut and bound. It looked like someone's avant-garde art installation. I turned around and parked the car in a nearby lane, and extracted my camera to take a few shots. As I strolled along the road shooting photos, neighbors shouted questions like, "haven't you ever seen hay before?" Well, I explained, yes I had but I haven't often seen it like that! I'm sure they thought I was crazy-odd but I don't care. ← Sometimes it takes a lighthouse to help you find your way. That is really neat looking! It does look like art. Reminds me of the rain-boot and shoe picture that was posted a few weeks ago! Neat that you stopped and took a picture. It is hay season here too James. The hay rolls are everywhere. Here we have a long enough season that they cut it twice a year. When I was up north I noticed that they get it all rolled and then cover it in plastic. I saw these fields the first time with these big white plastic things all over the place and was dumbfounded. I finally figured out that it was rolls of hay like this covered. That was really something to see.During Halloween they will take these hay rolls down here and decorate them all kinds of ways. When they start I'll have to take some pictures for you. You will really enjoy that.